836 were supplied to the British and the version in this kit has the single trail M8 carriage. Earlier, Bronco offered this kit along with a jeep and trailer, but this time it is the gun and crew. 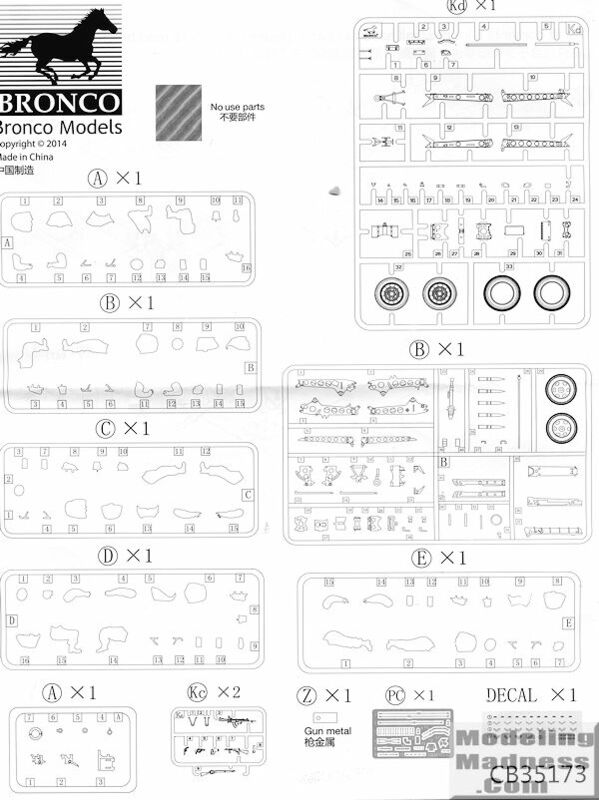 Typical of a Bronco kit, the detailing is superb and the kit contains both a gun and its crew. 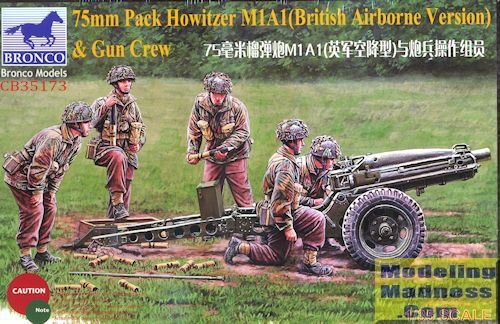 The howitzer actually takes up fewer sprues and parts numerically than the accompanying crew members so one could consider this to be a crew with gun. As you'd expect, much of the build is for the carrige itself and this one has the somewhat unusual folding trail that is pretty much a requirement for airborne equipment or other artillery that can be broken down and transported. The kit can be built in such a manner that the trail can be foled if one so wishes. It also allows the howitzer to be elevated. The wheels are an inner slice with most of the tire and outer wheel cast in one piece. 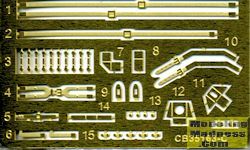 All of the photo etch is designed for the gun and includes a few rather small bits. You also will need to stretch a bit of sprue and trim a few bits as well, but that is all shown in the instructions. The figures are treated like pretty much any figure set I've seen from Bronco and others. You get full color illustrations of the completed and painted figures with little indicators showing what pieces g o where. There are five figures included along with all their equipment. The decal sheet provides chevrons and jacket patches. 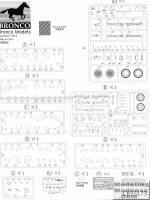 Bronco kits are not for those who do not consider themselves to be at least intermediate modelers. They require a bit of effort and attention to detail compared to some other kits. However, the result is an exceptional model. In this case, the kit is perfect for those who just want a gun and crew.